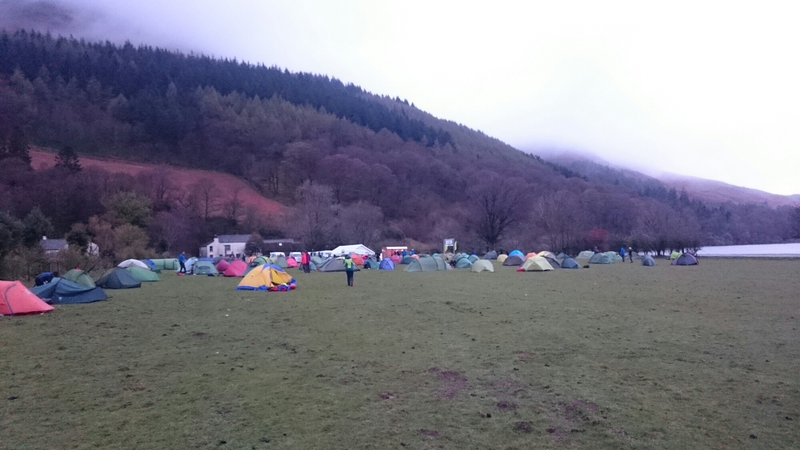 Last weekend was the Great Lakeland Three Day event, organised by Ourea Events (Shane Ohly’s events company). It was any second appearance this event, and the third at one of Shane’s races. The GL3D is a three day staged train running race, done in pairs or solo, with assistance carrying overnight baggage. I thought it would be a great sociable bank holiday as well as opportunity to test out some new kit and food options. On Friday evening I met up with a couple of friends who were also participating, and we carpooled up to the start the evening before. The format called for a night in a tent before the start of the race, so I registered and managed to ourch my tent in the day’s dying light. Normally this event allows you to set off within a couple of hours window, but the B course I opted for involved a bus journey to the start. Unfortunately there was a hiccup with the buses (they were too small) so I and a few others walked/ran the four kilometres to the start line. It was warm enough at the start with no sign of the sunshine relenting. The start of the race took us through a couple of fields and quickly through onto a hilly trail which we followed by miles. 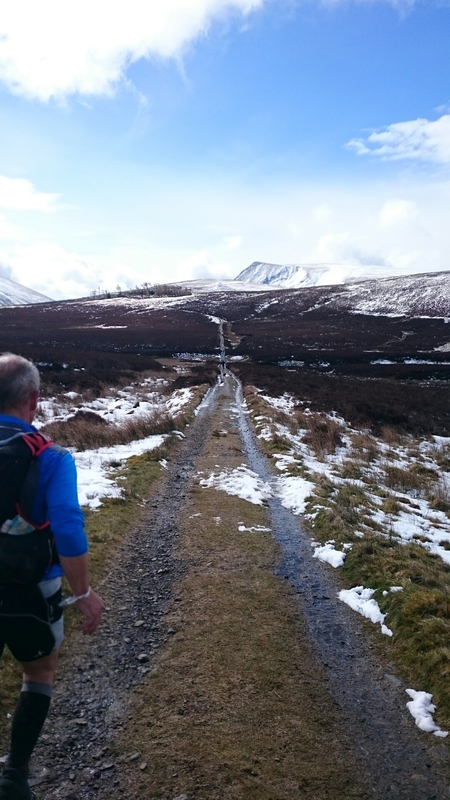 Having been giving the course maps the night before the event, I had familiarised myself with the route and I knew that the day did not have too many navigational challenges. 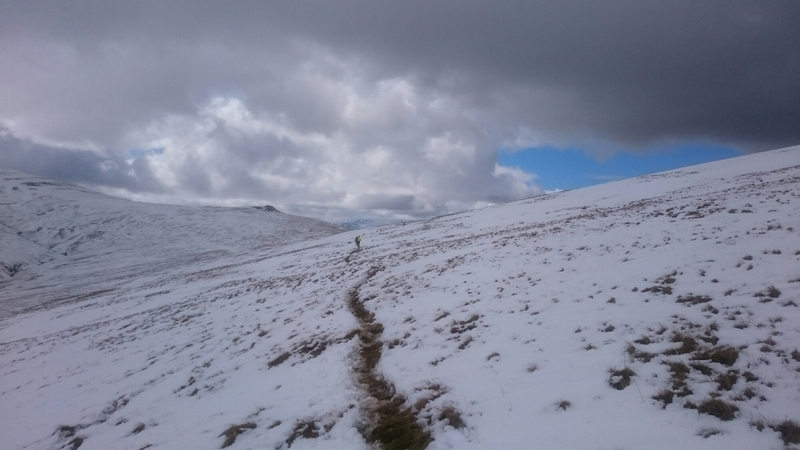 Through a small town and straight up the next hill, the route slowed most competitors on the ascent, before spreading us out again on the relatively flat run along the ridge, over Helvellyn and many other hills. I’d packed easier purification tablets but had not counted on the heavy snowfall and general lack of streams in the second half of the day. The warmth of the day took its toll on me and when I finally refilled my one litre water bottle six hours into the race, I couldn’t wait for the water to be purified. The evening was spent in a farm’s field, with a stream that was rather pleasant to bathe in after the day’s outing. Being a sociable event, a group of us headed to a bar for drinks in the evening. Straight uphill from the cafe a stream of people trudged, several heading in a direction that would get them lost in the bed weather. I managed to make it to the checkpoint, before bounding down the trail that followed the shoulder of hill back down out of the horrific wind and rain. The course then stuck strictly to trail and road, and competitors finished in a flat field, in the incessant rain, overlooking a lake. One again, I got my tent up, freshened up and gathered a group to head to the pub. Oh so sociable! By three bank holiday Monday i was feeling more rested then when I started the race! I got to the communal marquee and was disappointed to see that the course is agreed to do had many checkpoints crossed out. Actually, all the checkpoints crossed out! Unusual, but i went along with it and guided a small group down the country lanes and to the finish, with zero paths and no vertical ascent to speak of. I felt a bit better when I heard that another couple of competitors had decided to go up to a checkpoint in a hi and got battered back down off its slopes. When we got to the finish, the dibber machine and volunteers had not arrived, but at this point I don’t think anyone ont he course cared. We’d got round three days in adverse and ununusual weather. 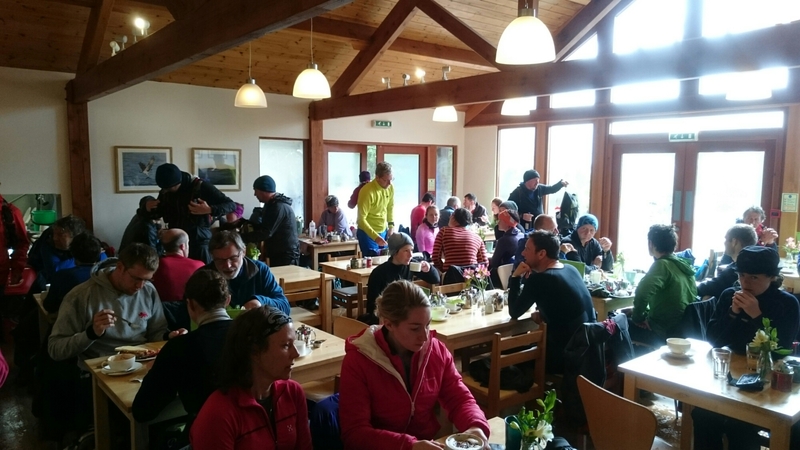 I wouldn’t say I took this race seriously, nor do I think it’s necessarily meant to be serious… they give you tea and cake at the end of each day, and there’s beer and cider for sale! However, given the atrocious weather over three bank holiday, I can’t think of any other way that I’d have to spend it, or in any other company.